While searching for cryptocurrency & art connections, we wanted to make a blog post about Bitcoin in movies, books, music. 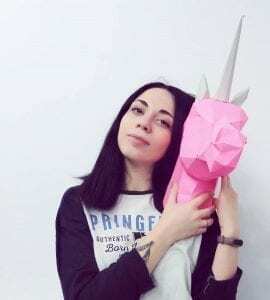 Later we discovered a post by DeCenter platform and thought it would be interesting for English-speaking people to read it. Thus, here are some of the highlights for you in English. 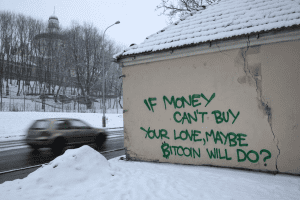 Bitcoin and graffiti are resembling, they were born in the hunger for freedom, decentralization. Contemporary graffiti-culture originates from Philadelphia 1960s. New York became the capital of graffiti in the 1970s. First graffiti pictures were found on the walls of the subway stations and later on the streets. 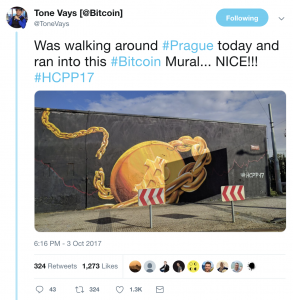 Today you can find crypto dedicated wall pictures almost in every big city of the world: Paris, San Francisco, Tel-Aviv, Kyiv, Prague, London, Vilnius. 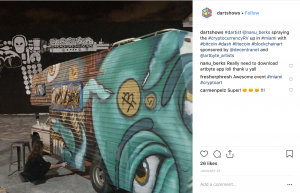 This art appeared on the walls of a travel trailer in Miami. 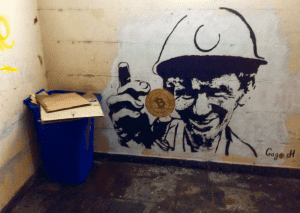 The author Nanu Berks painted Bitcoin, Litecoin, and Dash. The inscription under the painting says that the author is Shi Zheng. You can also find there the words: “Bitcoin Bubble”, “the money is not gone… it’s just in another pocket”. 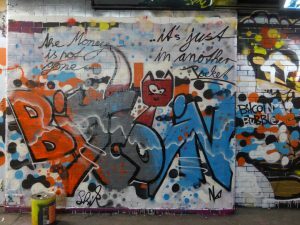 The graffiti is located in London, Leake Street. Bitcoin trader and investor Tony Vays wrote about this art a Tweet. 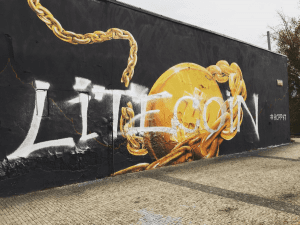 A few days later someone added a Litecoin word over the original art. 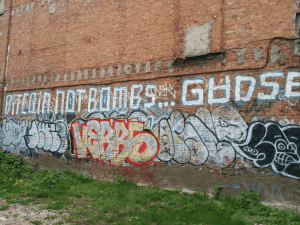 Made by Gadse, and can be found in Bushwick, Brooklyn, New York City. The first one refers to the lyrics of John Lenon’s song “Mind Games” – “Make love, not war”. 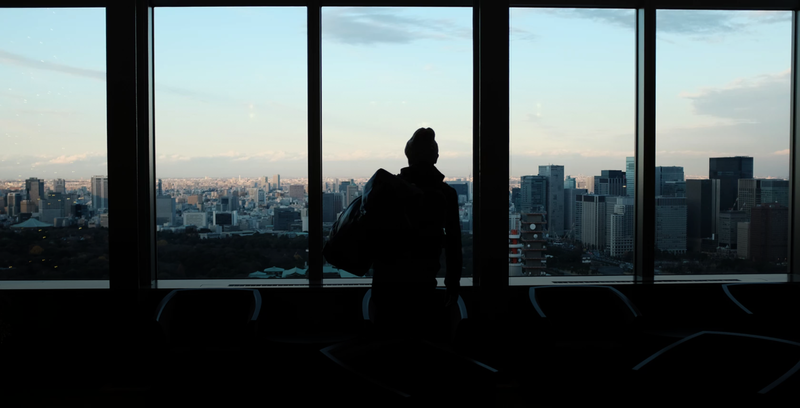 “Just as the technology of printing altered and reduced the power of medieval guilds and the social power structure, so too will cryptologic methods fundamentally alter the nature of corporations and of government interference in economic transactions. 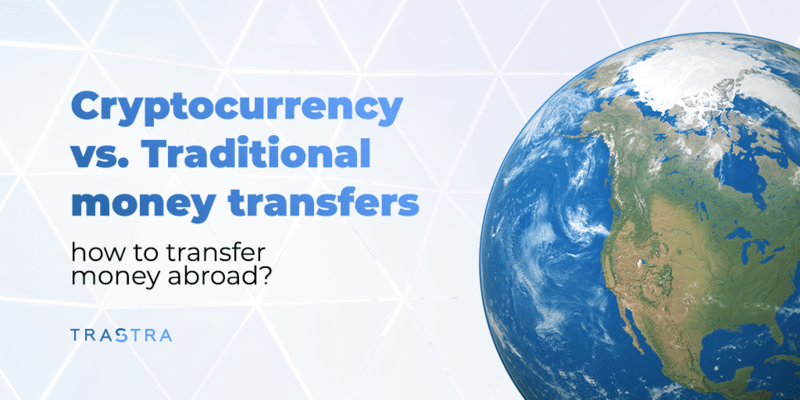 Combined with emerging information markets, crypto anarchy will create a liquid market for any and all material which can be put into words and pictures. And just as a seemingly minor invention like barbed wire made possible the fencing-off of vast ranches and farms, thus altering forever the concepts of land and property rights in the frontier West, so too will the seemingly minor discovery out of an arcane branch of mathematics come to be the wire clippers which dismantle the barbed wire around intellectual property. The author is unknown. Found in Vilnius, Lithuania. Maybe refers to the song written by The Beatles “Money can’t buy me love”. 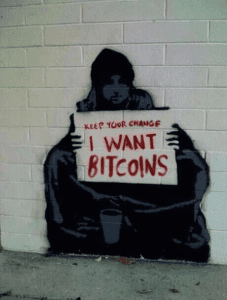 Keep your change, I want Bitcoins. “Street artist Meek (an ironic name which draws attention to the usual boastfulness of street artists) sprayed Begging for change on a railway station wall in Melbourne. 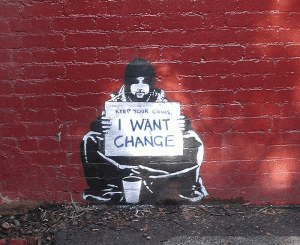 The 2004 record of this stencil in the Gallery’s collection features a life-size man, sitting dejectedly at ground level, holding a sign that reads, “Keep your coins, I want change”. By displaying this work on a railway station wall Meek was able to engage a public, who, in their daily commute, pass by homeless and symbolically disenfranchised people every day. The text on the homeless man’s sign, however, suggests a more altruistic plight than the individual homeless. Witty and irreverent, this work visually composes a strong social comment about money and its inability to solve all problems. 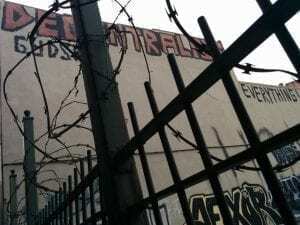 It also expresses the concerns of many street artists regarding the lack of good political leadership in Australia during the early 2000s, a period considered to be the zenith of stencil art production in Melbourne. Through this work Meek also demonstrates the power of text, essential to poster-based design but also prevalently used by fine-art-school trained artists and graphic designers”. Found in San Francisco near 1AM gallery. 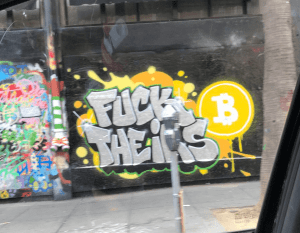 This graffiti illustrates the difficulties in the communication between cryptocurrency users and Internal Revenue Service (USA). 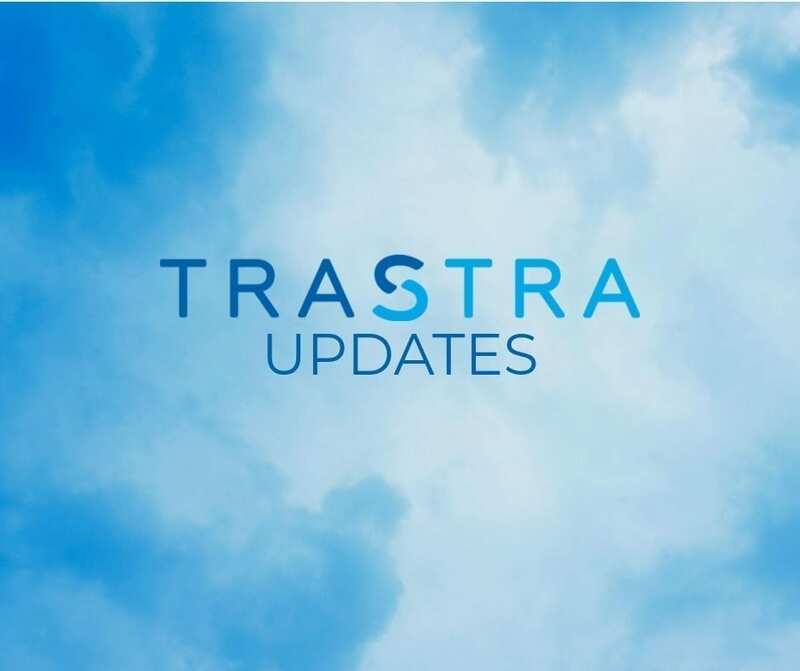 IRS started to regulate cryptocurrencies in 2014 and consider it to be a property, thus asses taxes on the crypto purchase, sale, trading, and mining. Made by Ludo in Paris, France. 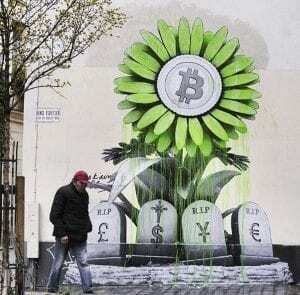 It is the symbol of Bitcoin defeat of traditional finances system. There are lots of other graffiti masterpieces in the world. If you know some of them, leave your comments and we will include it to this post. 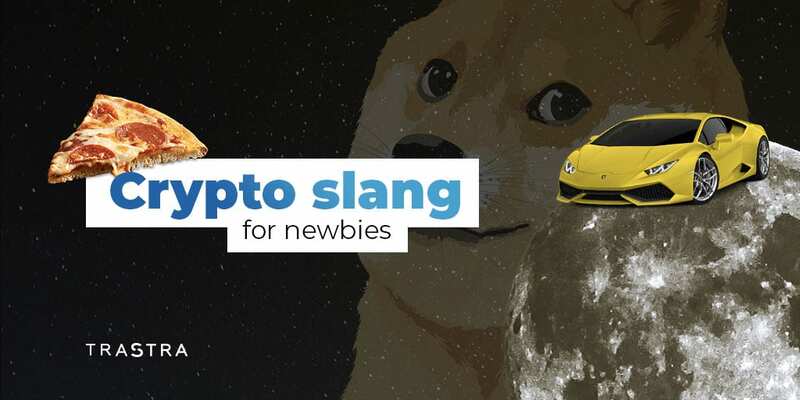 If you are new in the cryptocurrency and trading world, it is good to know the meaning of some basic slang expressions and abbreviations. Using them will make you a part of the crypto gang! Let the incredible journey begin!